Free sample speeches for all occasions and for those amazingly special days of the year - celebrate in style with special words of wisdom! 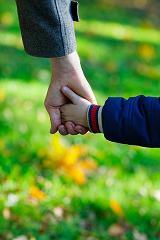 Let's face it - fathers hold a special place in our hearts. So, if you're looking for a special father day gift, then a touching fathers day poem will really make his day a memorable one. A great personal touch - copy the poem onto the first page of a photo album or scrapbook. Decorate the page and then fill the album with a collage of happy photo memories that you have collected throughout the years. Go on - it'll make his day and he deserves it! Influencing my life - body, mind, heart and soul. As I chased my dreams -always encouraging. If I persevered, then in some unfathomable way I would win! Dad, you're the greatest... and so it will always stay! Free sample speeches for all occasions - a special father day gift for sure! Nothing adds to the moment better than a great, big hug - and they are free too! So hug a way for an extra special day!